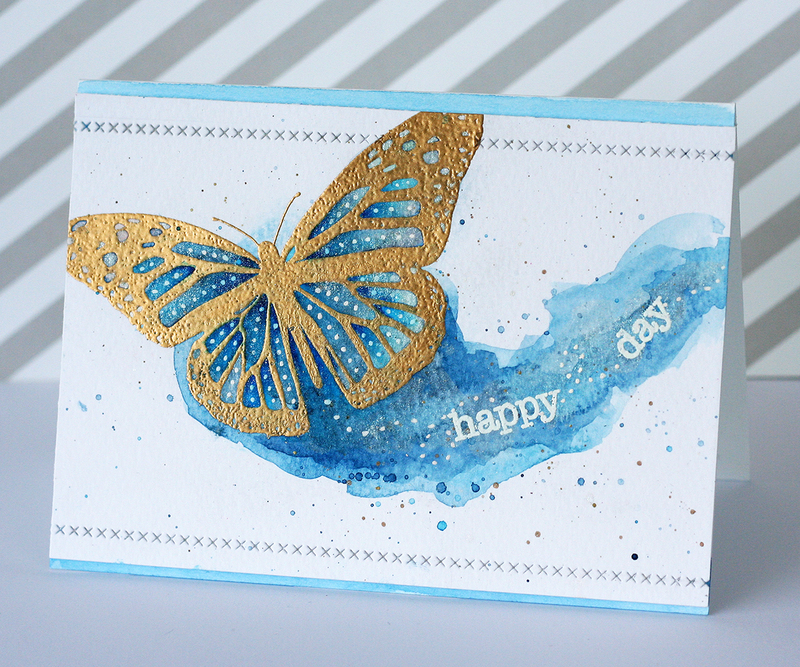 I'm happy to take part in a final blog hop with the former and new DT of WOW Embossing powders. These ladies are amazing and I have really loved being a part of the team. I hope you will hop the whole way around and be inspired by all the pretty creations. 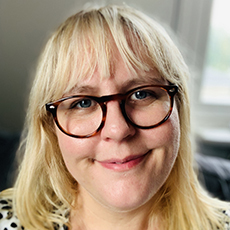 I will look back on my time on the team fondly and am a lucky lucky girl to get the opportunity to not only use the fab products but to make my own designs and see them made into stamps. But most of all I appreciate the friendship, all the laughs and inspiration I've got through the team. We wanted to have a combined blog hop for the 2015 and 2016 Design Team and give them a proper farewell! Please leave comments on each of the Design Teams posts which will give you more a chance to win some not-yet-released WOW! products. We will be giving away 1 of each of these sets to three lucky winners! The new products will be available from May onwards. I could of course not resist a chance to show off my latest stamp set, Mariposa, and my favourite stamp in it this huge butterfly. 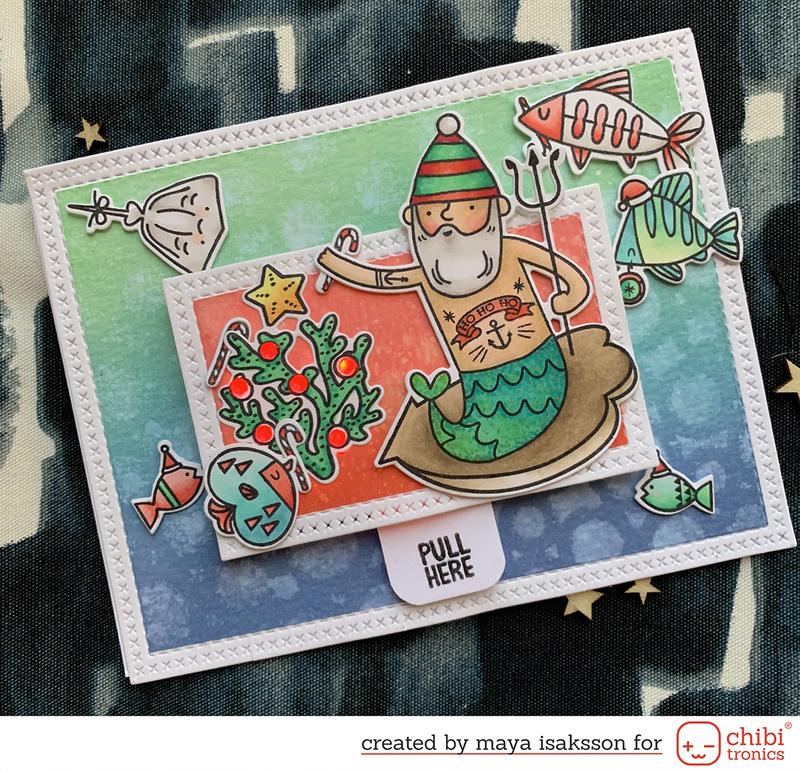 I embossed it on vellum using Sugar Plum and Under the Sea glitter embossing powder. I also used WOW bonding powder to foil the sentiment from Big Words in the lovely Blush color of Fab Foils. I also foiled the border stamp from Pick 'n Mix for one of the side for some extra shine. Here's a close up, the card glitters and shines so it was so hard taking pictures to show it off. As a bonus here's a card I made a while back and never blogged. Again it's the big butterfly from Mariposa together with sentiment from Pick 'n Mix. The butterfly is embossed using Metallic Gold Rich Pale embossing powder and the sentiment with Opaque Bright White Embossing powder. I watercolored around it the embossing, it work as a resist so the color only ends up on the paper and not on the images. One of my favourite embossing techniques. Now hop on to Martha Lucias blog and see what prettiness she made. Please leave comments on each stop by Saturday 30th April at 11:59 PM BST for a chance to win. Good luck and happy hopping! Beautiful cards!! Love the embosed butterflies. 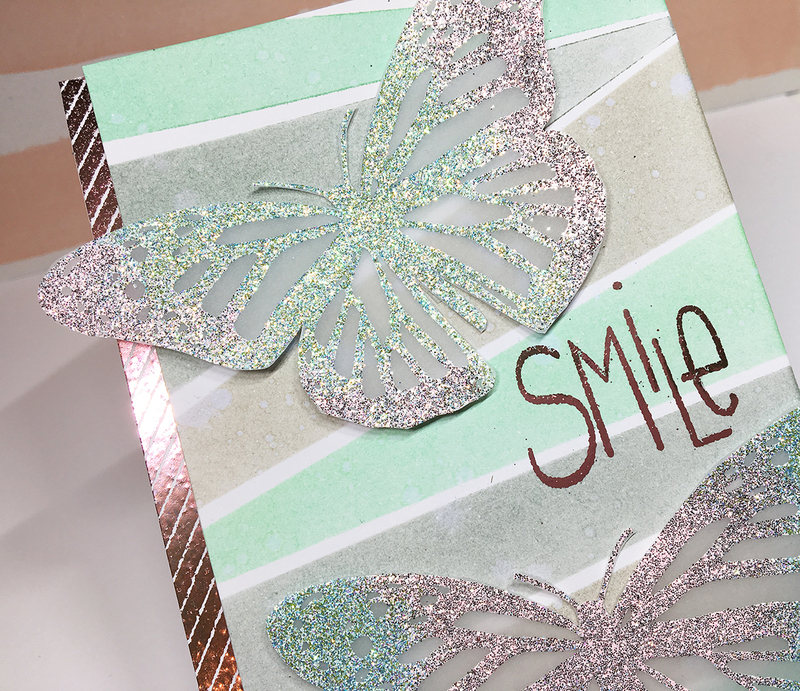 You played very well with your big Mariposa butterflies, gorgeous embossing and I can see the foil shine clearly, inspiring creations! Beautiful butterflies, love the shimmer! Pretty card. I love the glitter colors. 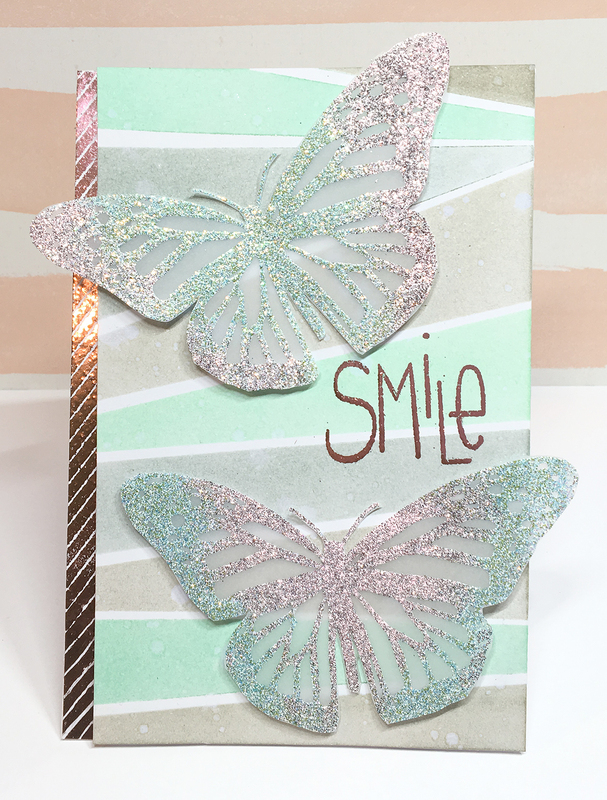 Oooh, all of those glittery glimmery embossing powders make these butterflies just POP! So beautiful! Sparkly butterflies are near to perfection! These cards are so pretty. Thanks for your commitment to the WOW team. Beautiful butterflies!! I love embossing on vellum it's so pretty! Gorgeous butterflies! I love the beautiful embossing powders you've used on them! Butterflies and glitter... what's not to like! Those glittery butterflies are gorgeous! The glittery butterflies are amazing! I love butterflies! WOW! The sparkling butterflies are like diamonds! These are both absolutely STUNNING! Great work Maya! Very beautiful butterflies , they sparkle and shimmer as the jewel of !!! I like it! WOW!!! Those spaekly butterflies and gold butterfly are GORGEOUS!!! I adore your cards!!! I esp love the soft pastels and foiling of the first card. Just gorgeous!!! TFS. WOW - your butterflies really are STUNNING and your cards such DELIGHTFUL colours and ELEGANT designs, SO MUCH to LOVE!! !